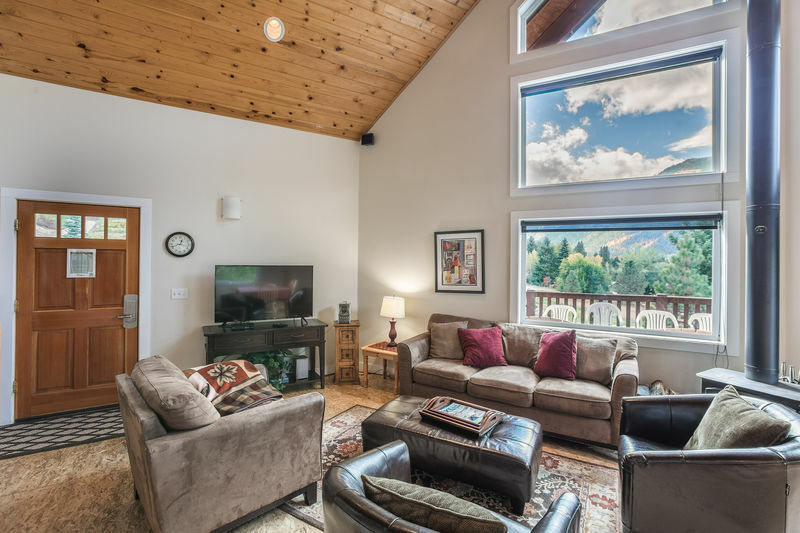 Tucked neatly into an attractive hillside setting just a mile from town, this comfortable contemporary chalet overlooks the stunning and rugged Cascade mountains. 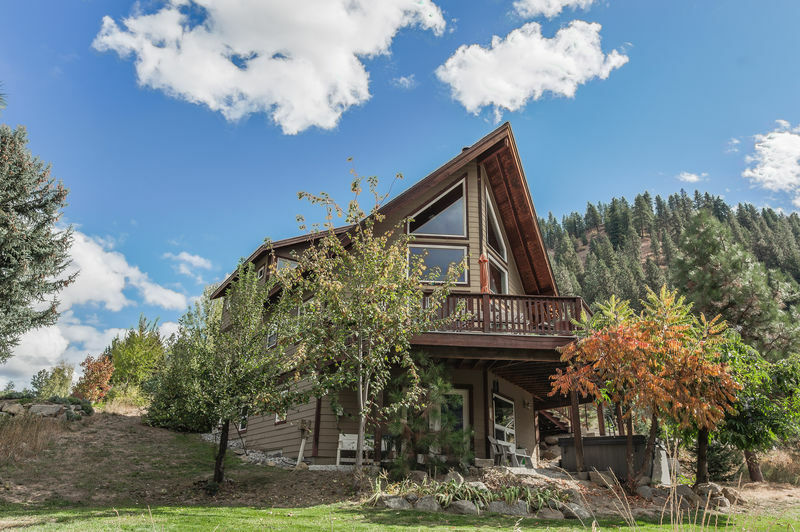 Built in 2002, this gorgeous chalet has lots of extras, including stereo/CD player, huge wrap-around deck, and ceiling-high windows to capture the amazing mountain scenery. 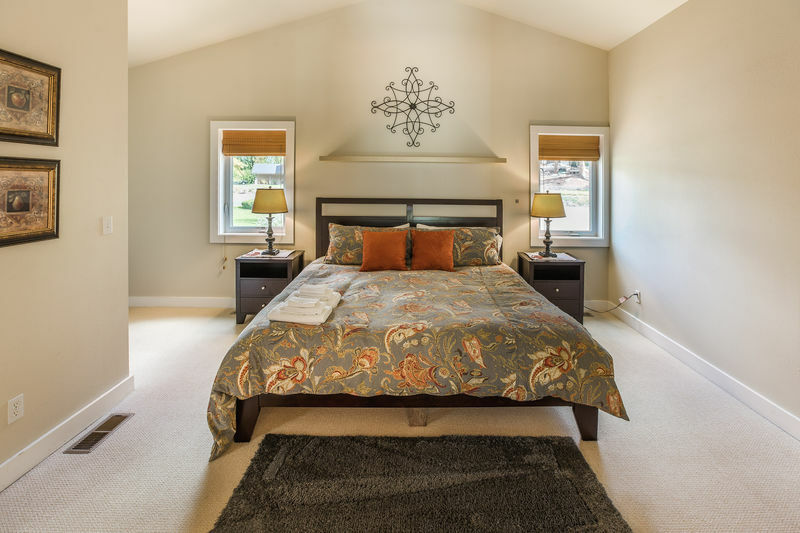 A loft-like master bedroom suite at the top of the stairs is both private and inviting. With a king-sized bed, it's roomy and very comfortable! The master suite bath features a beautiful and unique open shower that's designed with natural slate tile and dual shower heads. 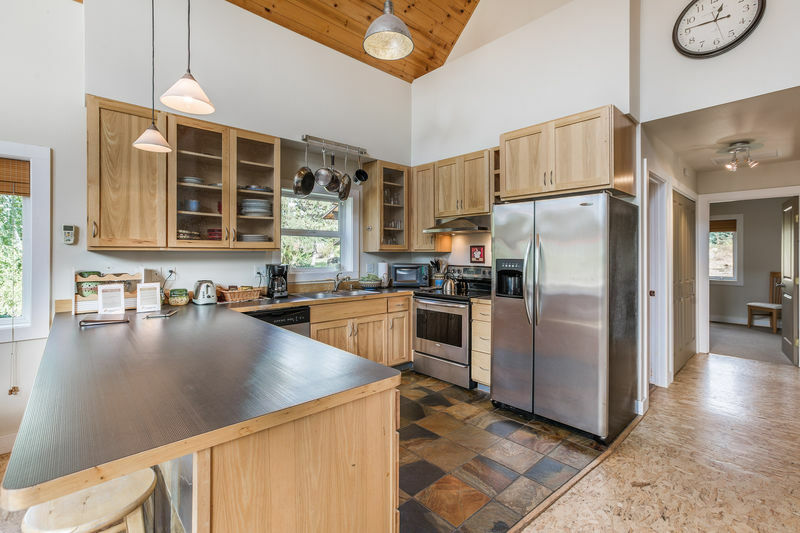 Two additional bedrooms are on the main floor, as well as a lovely contemporary kitchen and a living room with cathedral ceiling with very large windows that frame a perfect view of the mountains. 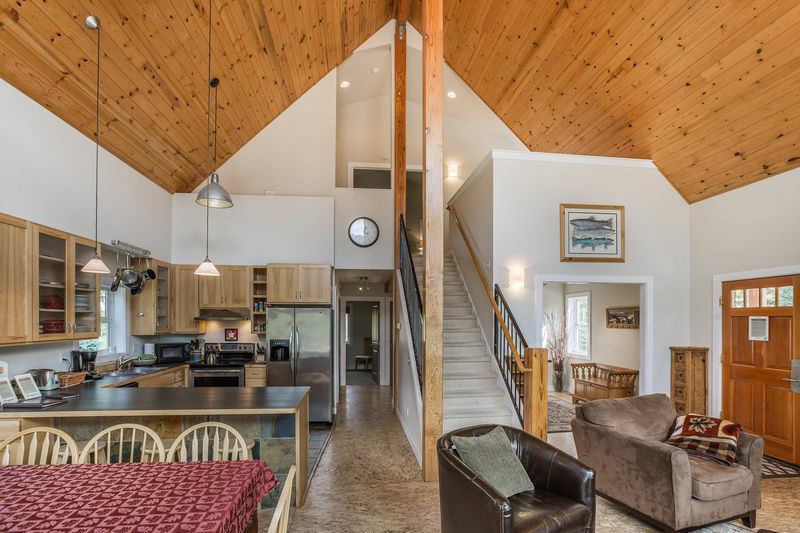 The downstairs family room has an outside door that leads to the hot-tub, and also features games and an air-hockey table. 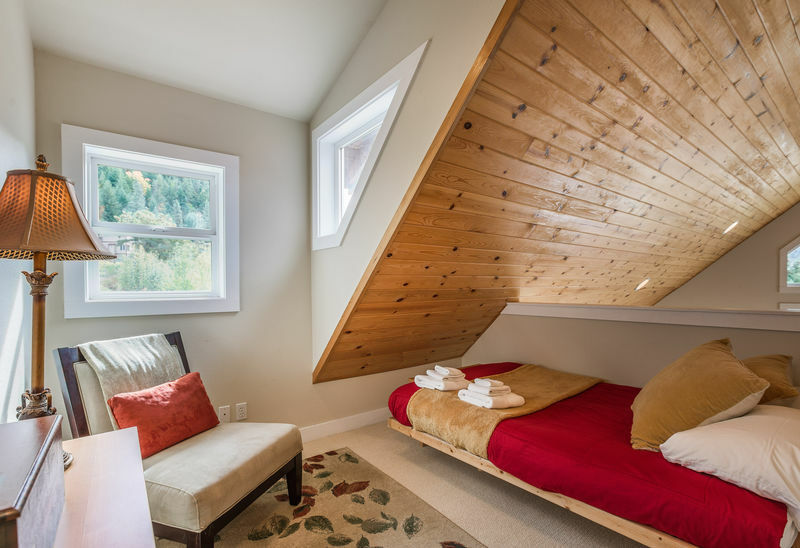 A sofa sleeper in the family room, an additional downstairs bedroom, and two single cots provide ampleroom for sleeping. 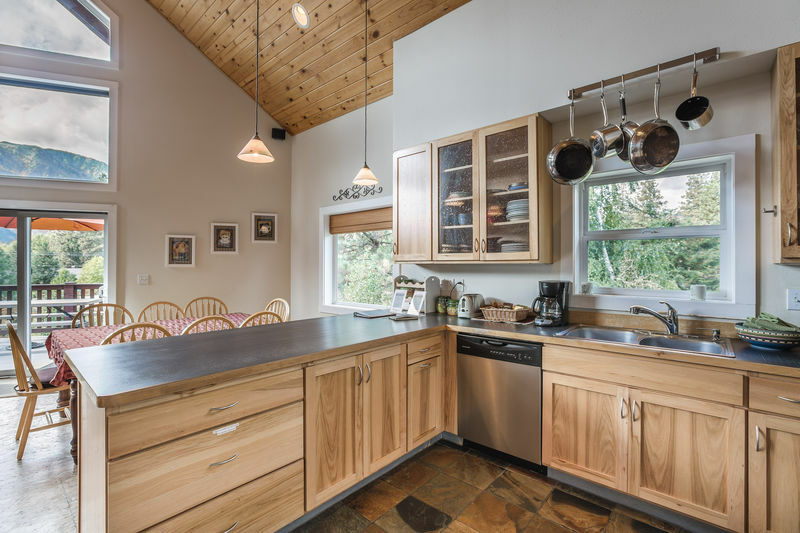 Located close to hiking or cross country ski trails, this is a great location for enjoying outdoor recreation. 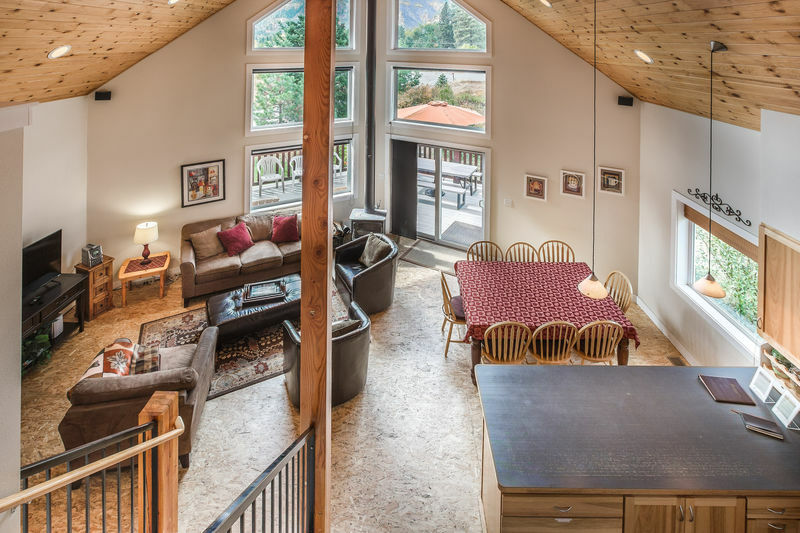 Leavenworth Chalet is a great place to plan a small corporate retreat, family vacation, reunion, romantic weekend getaway, or an outdoor recreation rendezvous with friends! 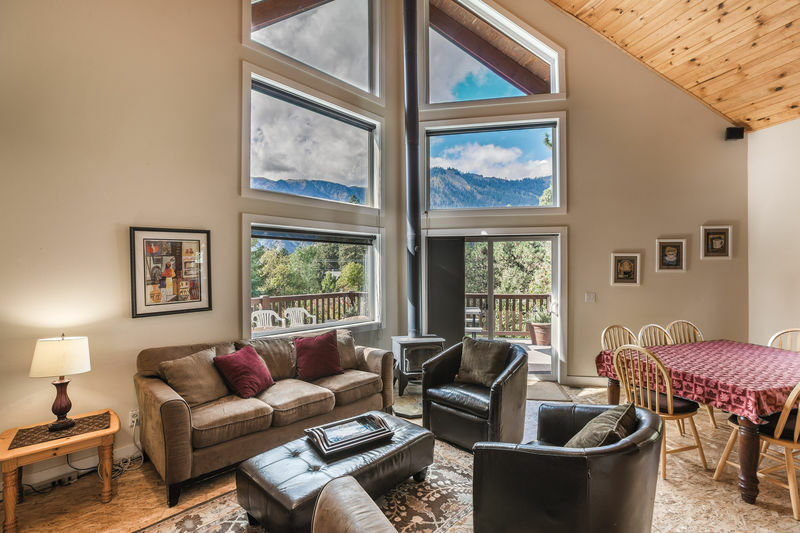 Spacious open plan living room with great views toward the mountains! This was a wonderful home. 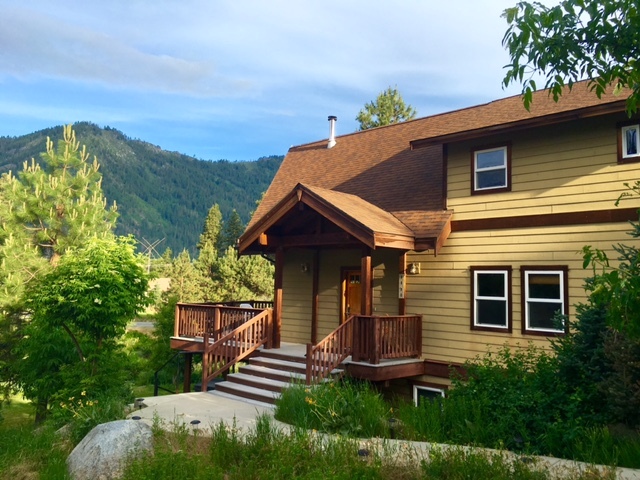 We are so pleased to have been able to visit Leavenworth and stay in such a beautiful house. 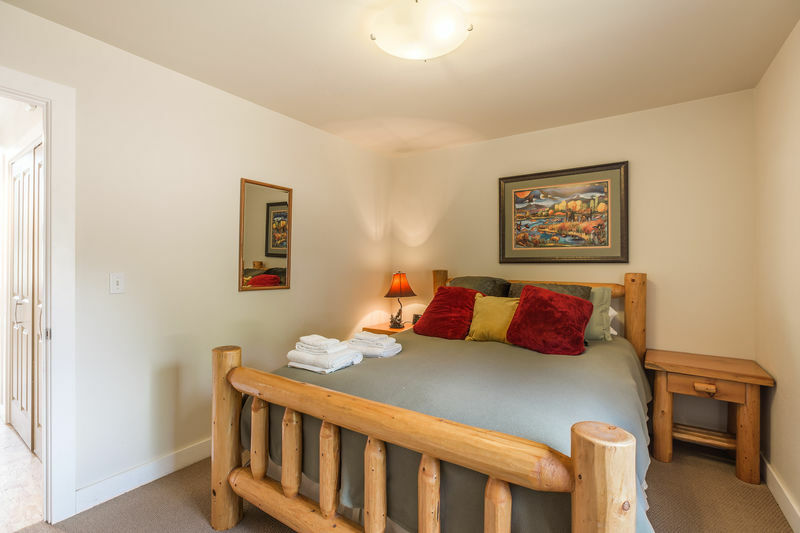 We would absolutely consider staying and booking with Destination Leavenworth again! What a great house for our annual family trip! It was perfect. 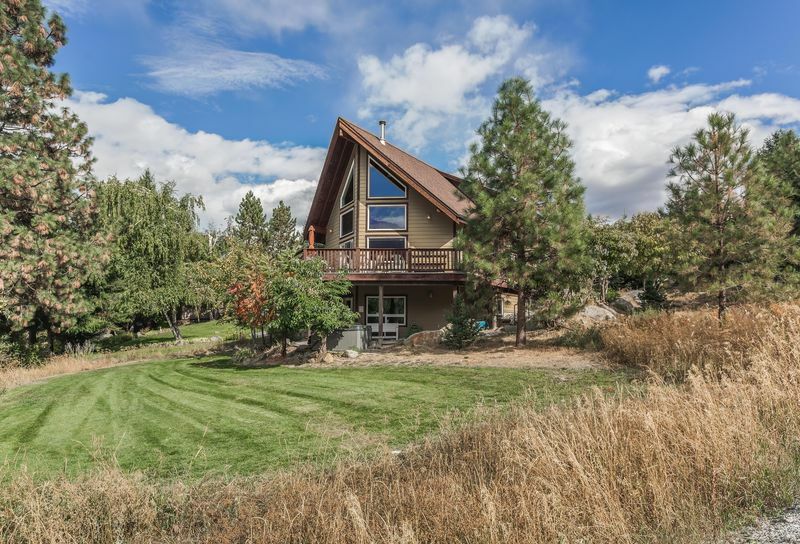 This is a Beautiful house to rent - I rented this for a Girls Weekend and we were very comfortable and it has beautiful views and it's proximity to town is awesome! Would highly recommend. This place is awesome. Location is great. Was here for my bachelorette weekend and it was perfect! All of the girls that stayed here said they would come back in a heartbeat. 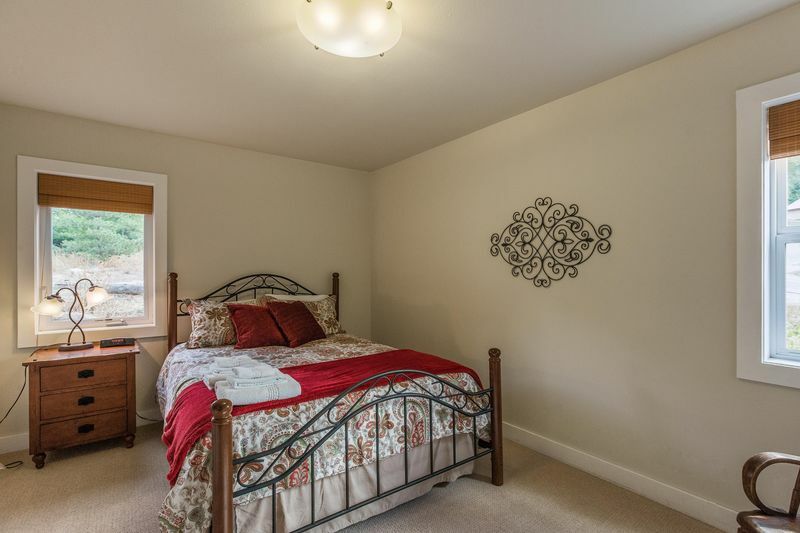 This place is better than the photos and has way more actual bedrooms than listed. There were 4 of us, but could easily have more. Good news - we each had our own room. We were a short drive or long walk to town. The views were nice and we had a great time using hot tub, cooking group dinner and hanging out. Only drawback is the microwave is terrible (takes forever) and electric stove is also a bit slow to heat. It all works, just slow. 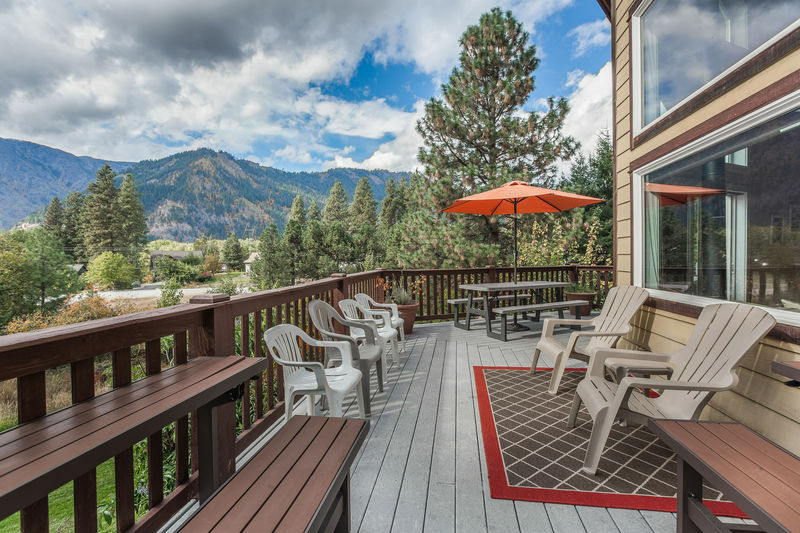 This was the best place I have stayed in in Leavenworth! This was the best place I have stayed at in Leavenworth! I have been going for 5 years straight and nothing has come close to this. 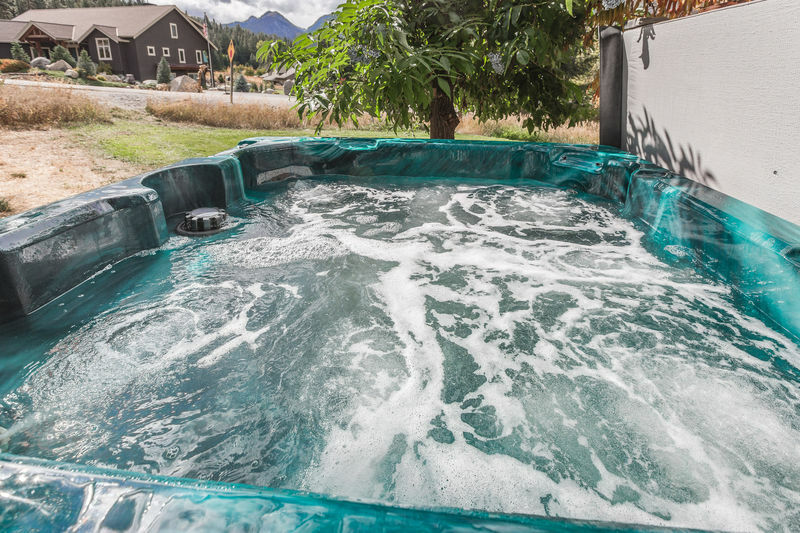 The house was clean, towels and linens were excellent, and everything including the hot tub was simple to use. 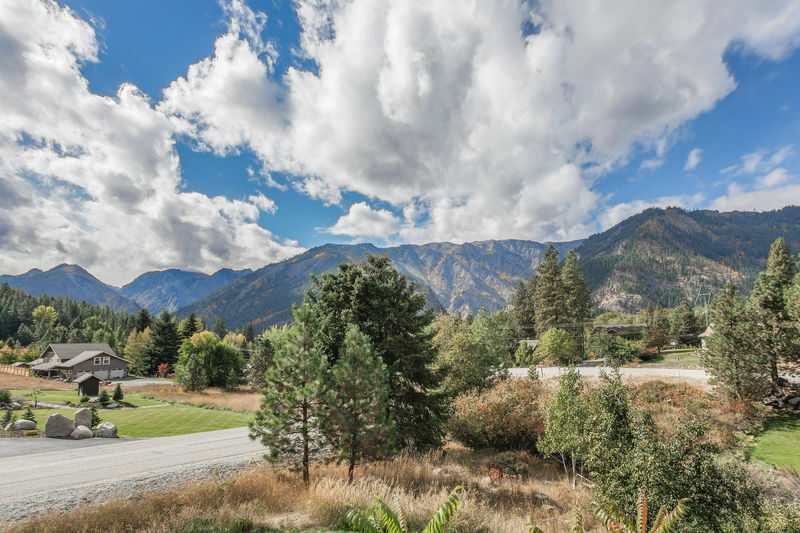 You also have an amazing view of the mountains and literally around the corner from Front Street! We will be doing this again every year! Beautiful place for a family get together! We had a wonderful time. The house is lovely and spacious. Lots of room for everyone to spread out and enjoy themselves. Thanks! We had a group of 10 stay here for a weekend - it easily fit all of us. There was plenty of beds & bathrooms to comfortable accommodate us all. The kitchen was well stocked with everything you'd need to cook and they even leave a little basket with coffee, tea, sugars and honey. The hot tub was great and the patio was huge with a great view. Everyone was really impressed with the house, especially for the price. I definitely would recommend. We had a great time and enjoyed the deck, grill, hot tub and nice air conditioned rooms. Our book club had a great time at Leavenworth Chalet! It was a great location. 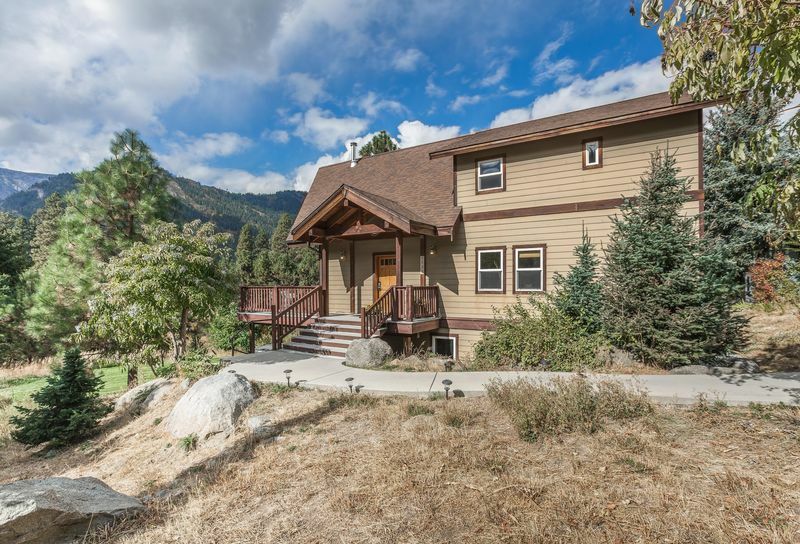 Good location near Leavenworth and had all we needed! Leavenworth Chalet worked well for our book club retreat! Nice quiet neighborhood close to downtown and to hiking. Arrival and departure from the property was easy. We had enough beds and baths to accommodate our group of 5 women. The hot tub worked well. No major problems - a few minor preference problems with type of mattress. Great cozy home with a stunning view. We had a blast in the hot tub and the kiddos enjoyed the basement for some Fun games! 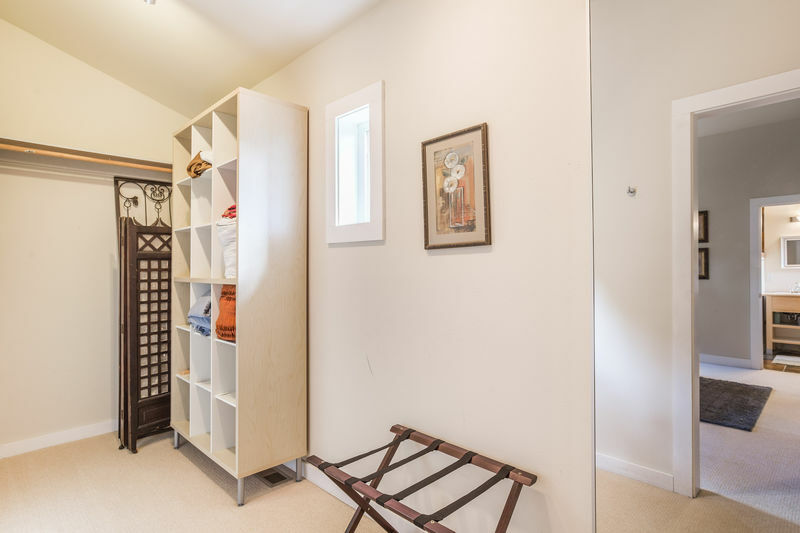 Great walking distance to town! 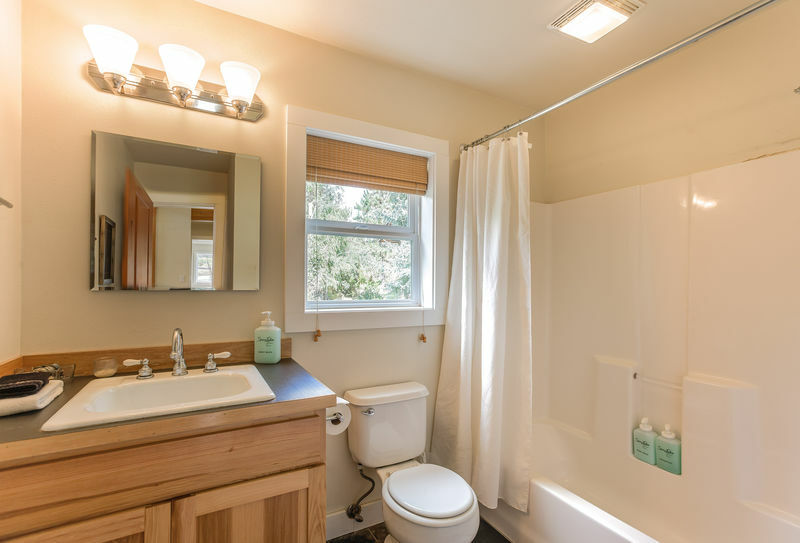 Great location and floor plan is perfect for families who like to stay up later than their children! 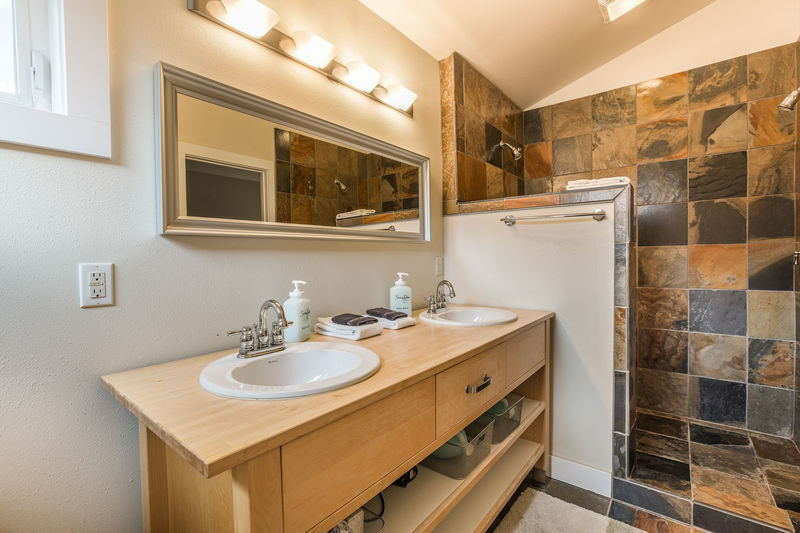 Clean, great location, has all the amenities you want and need. Bedrooms were comfortable and spacious, heating and temperature was very comfortable too! Great location @ great price for large groups. 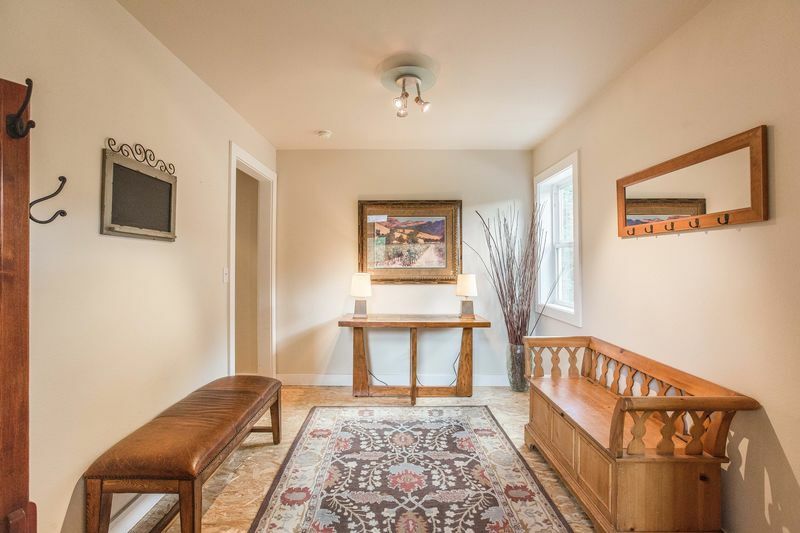 Walking distance to Front street downtown. 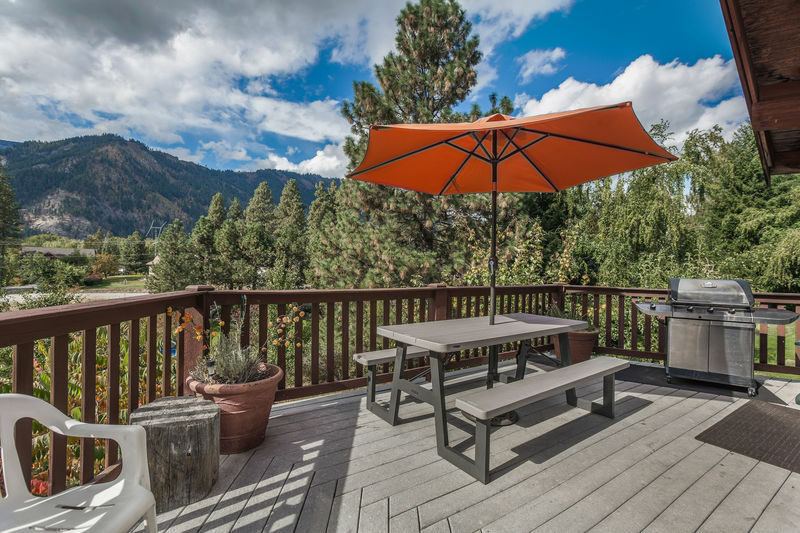 Was a great getaway location that allowed easy access to the ski slopes and Leavenworth. Good times, and a beautiful cabin!